Taco Tuesday is a custom in the United States where people go to restaurants and eat tacos or any other Mexican delight that is served usually in a tortilla on Tuesday nights. This popular custom is a big craze in several cities and especially at the beach cities. 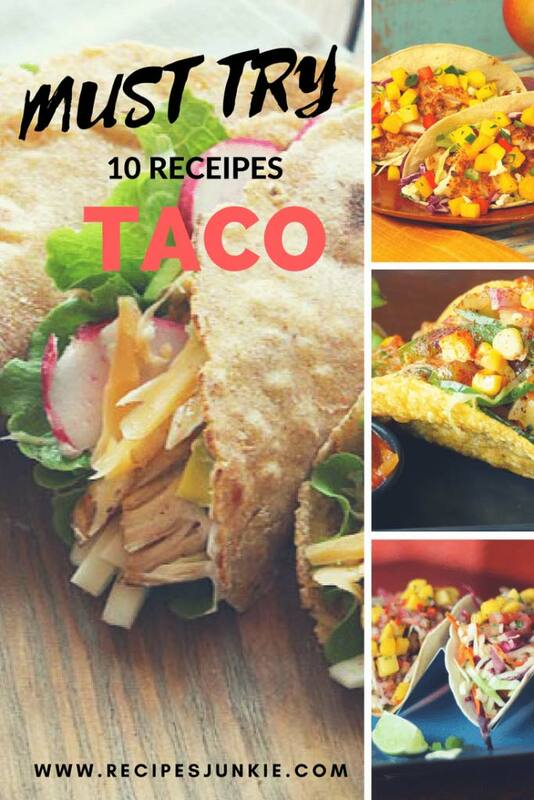 Since it is the time to celebrate why not celebrate it with some delicious taco recipes that can be enjoyed by everyone at home. 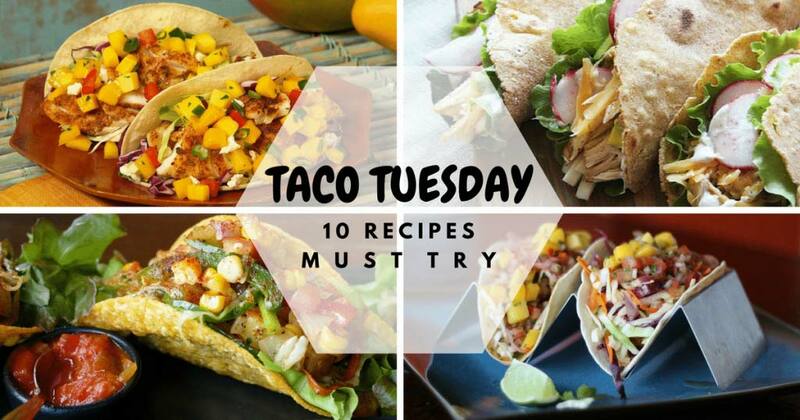 The following must try 10 recipes created for the taco Tuesday are something to enjoy on Tuesdays. 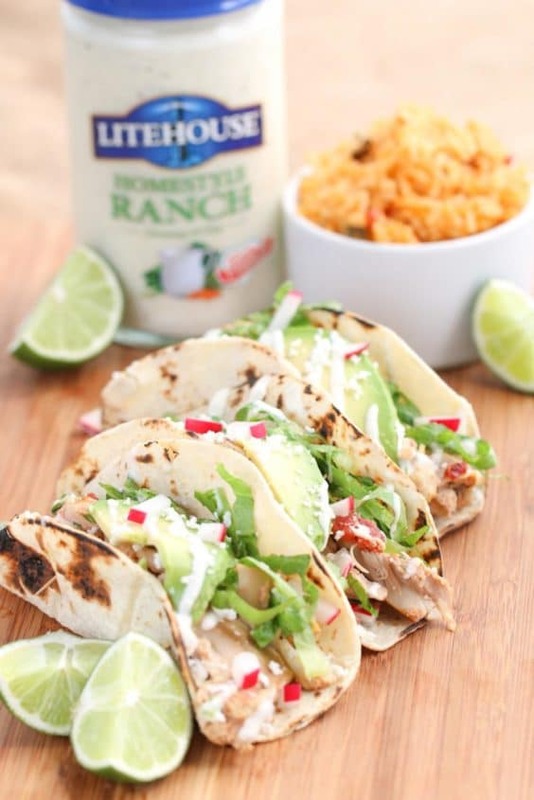 The Chipotle bacon ranch chicken tacos, is a perfect crowd pleaser. This cook doesn’t burn a hole in your pocket if you follow certain tips like using staple pantry items as the base of the meal, using a slow cooker, use seasonal fruits and vegetables and serving food in a buffet style. Use chicken thighs in a slow cooker to melt the fat down and to make a flavorful chicken base for the tacos. You can choose either the boneless chicken or even go for the bone-in variety since they are not too costly. The chicken can be assembled in the slow cooker the day before you need to cook the meat. • Combine chicken, garlic, onion, chipotle peppers, diced tomatoes, chicken stock, oregano, bay leaves, cumin, salt, black pepper and sugar in a slow cooker and set it to low for 4-6 hours or until the chicken breaks nicely. Discard the bay leaf once done. • Remove the chicken from the tomato sauce mix and shred them with a fork. Put back the shredded chicken into the slow cooker and stir. Cook this for about 30 minutes. • Make the bacon until the chicken cooks. In a medium-sized bowl combine onion, garlic, and jalapeno, radishes, cilantro and lime juice. Toss them to mix well. Add the crumbled bacon and leave it aside. • Scoop out the chicken mix and place into the corn tortillas and top with the slice of avocado, Bacon Pico de Gallo, ranch dressing and some crumbled Cotija cheese. This is a deliciously tasty salad with a serious avocado kick. It is well known that avocados are healthy and packed with various vitamins like Vitamin C, K and folate. Avocados also have more potassium than a banana. Moreover, Avocados are infamous for being fatty, but the fat in avocados is healthy fat, so there is no need to worry. The fat found in Avocados help your body absorb nutrients from other plant foods making it extremely good for your body. The best part of this salad is that it is packed with some very good and fresh ingredients making it a perfect salad for parties or any get together during the summers. This salad also features a tasty avocado dressing made with the Guacamole herb blend. This blend is a unique mix of herbs and spices to create some delicious guacamole, marinate the meats and also as a dressing for the taco salads. • Prepare Pico de Gallo by chopping the tomatoes and placing them in a bowl. Dice the Jalapeno and remove all the seeds. You may leave the seeds if you want the salad to be spicy, adjust the spice accordingly. • Add Jalapeno, cilantro, olives and lime juice to the bowl and mix to combine. Season with salt as desired. • Use a clear glass bowl to make the salad so that you can see the layers. Place ½ of the lettuce on the bottom and top it with ½ cup of tortilla chips. • Mix together corn and beans and place them over the tortilla chips. Layer it with the lettuce and tortilla chips. • Keep the Pico de Gallo at the center of the bowl and sprinkle some cheese around it. Drizzle the salad with guacamole dressing before you decide to serve. Once you try this salad, you will love the way an avocado can taste. 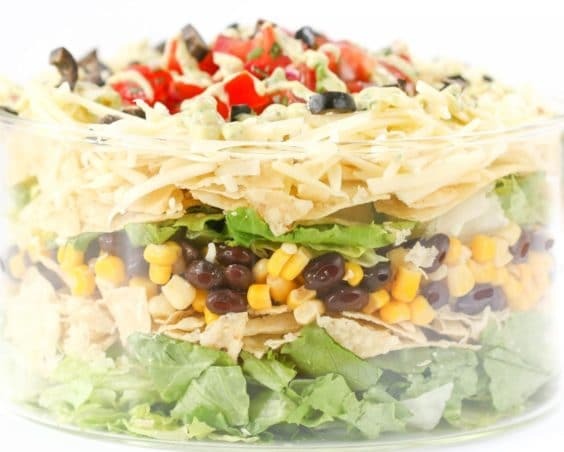 Make your taco Tuesday interesting with the seven layer taco salad. Salsa can be a nice combination with shrimp tacos on a warm summer night with your family and friends. Shrimp tacos are my favorite and I look forward to make them for family parties. The taste of the shrimp tacos is awesome and lot of my friends has loved the good mix of salsa and shrimp. To bring out the best out of the shrimps I would recommend you marinate them an hour before you grill. This will ensure flavorful and juicy shrimps instead of the dry and chewy ones. For lighter toppings, you can add thinly sliced cabbage, radish and queso fresco. You can substitute the queso fresco with Monterey Jack cheese. • Combine the lime juice, cilantro, olive oil, garlic, salt and pepper in a large size zipper bag. Add in the shrimps and marinate for an hour. • Skewer the shrimp and grill them over medium heat until they are cooked. Allow 2-3 minutes for each side. • Remove the shrimps from the skewers and transfer it to a plate. 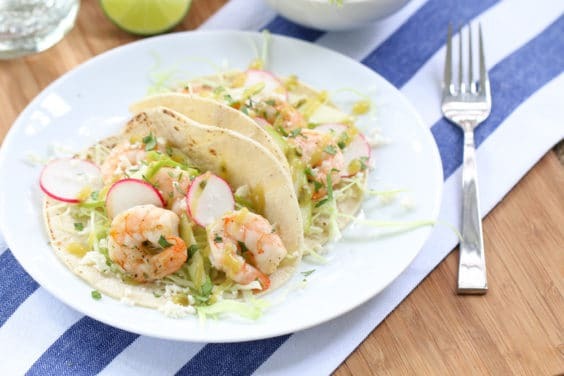 • Serve the shrimp with apple, salsa, cabbage, queso fresco, warm tortillas, radish, and cilantro. Steak tacos are hugely popular. To make it more delicious, throw in some grilled corn salsa. Experiment with the flavors by adding some spice and sweet flavors depending on your liking. If you like spicy flavors, then add more pepper. The recipe here is a perfect balance of sweet and spice. • Mix together chili powder, brown sugar, salt, pepper, paprika, cayenne, mustard powder, granulated garlic, cumin, and coriander in a large bowl. • Prepare grill on medium heat and baste oil. • Grill the corn and keep turning it until it is lightly brown on all sides for at least 8-10 minutes. Allow it to cool. Remove kernels from cob and place it in a bowl. Mix in jalapeno, onion, cilantro, tomatoes and lime juice to the corn and toss. • In the meantime, place the steak with the entire dry rub into a large zip bag. Pour olive oil in the bag and massage and coat the meat. Allow the meat to marinate for an hour. • Grill the steak, occasionally turning it until they are brown. Make sure you don’t burn it. Check whether the meat is cooked perfectly by inserting a meat thermometer to the thickest portion of the meat. It should show 130 degrees. It should cook for 4 minutes on each side for it to attain medium rare. • Place the meat again onto the grill for a minute on each side to attain a crisp exterior. Transfer back to the cutting board and slice against the grain. • Serve it with a topping of salsa and Chimichurri sauce on the tortillas. 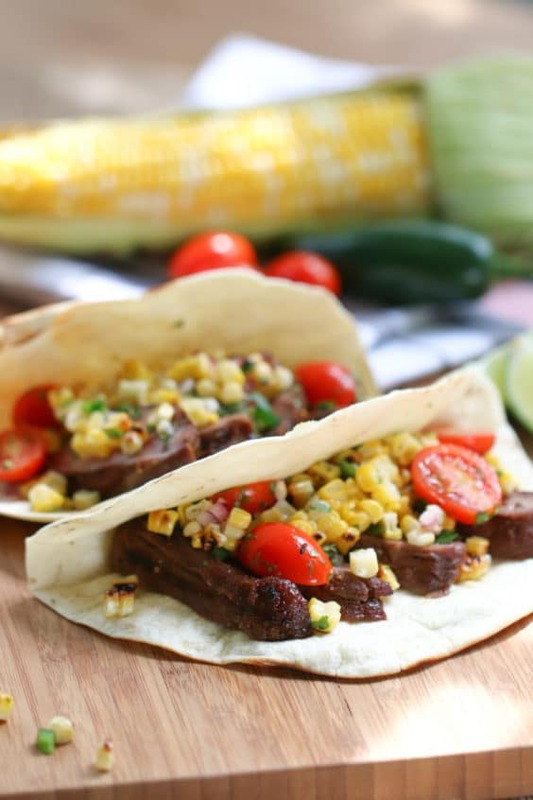 Your delicious and crispy steak tacos with grilled corn salsa are ready to be served. 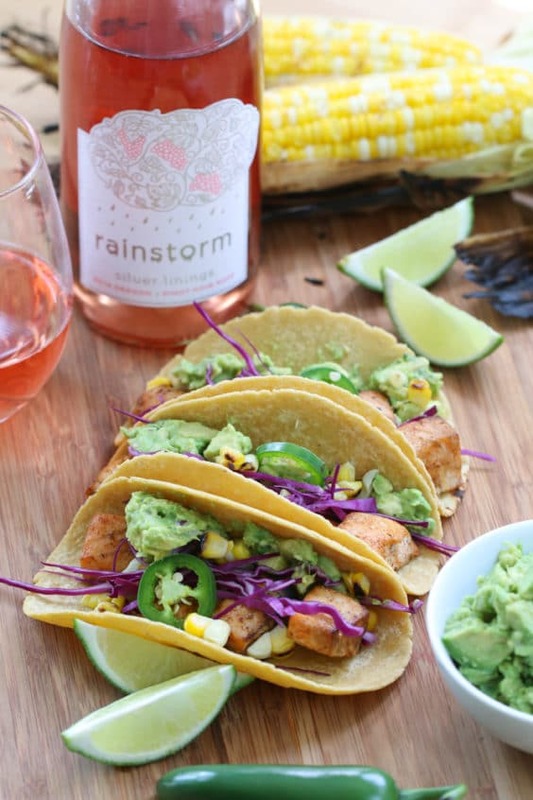 As the name suggests this recipe has some incredible ingredients like salmon and tacos. Fresh salmon is pretty awesome and eating it with the crispy tacos makes it absolutely yummy and delicious. Make this pretty looking dish at home for you and your near and dear ones on holidays. • Toss the salmon in a large mixing bowl with olive oil and seasoning. Allow it to marinate for an hour. While the salmon is being marinated, allow a cedar plank to soak in water for about an hour. • Prepare guacamole by mixing lime juice, avocados, jalapeno and red onion. Season with salt. • Heat the grill to medium heat. Remove the cedar plank from water and lay out the salmon pieces in a single layer. Grill this for 10 minutes. 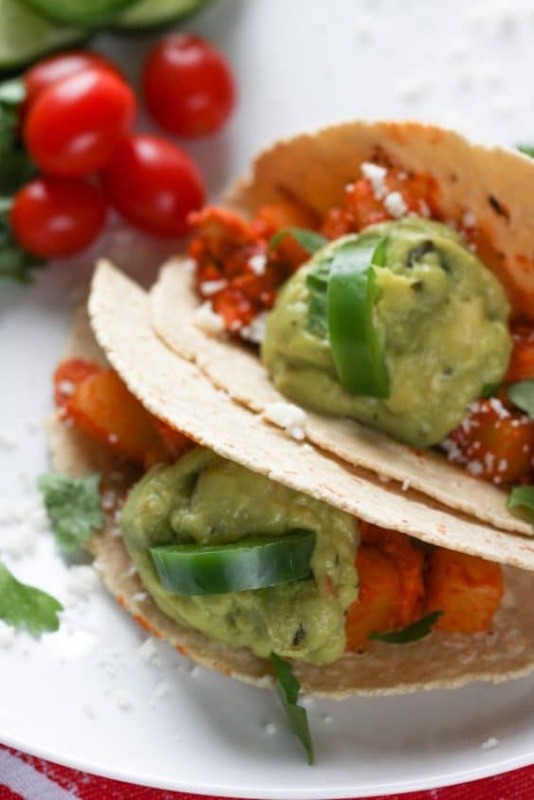 • Prepare the tacos by warming the flour tortillas. Divide cabbage, salmon, guacamole and corn between the tacos. If you love your grilled food, then this taco recipe will blow you out. 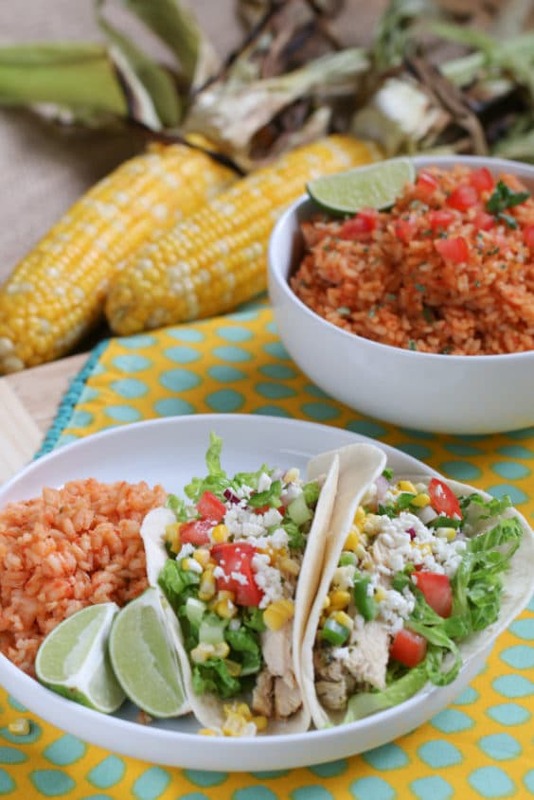 The grilled lime chicken taco with corn salsa is an ideal snack for a long dinner party. • Chop the chicken into strips. Prepare the tacos by adding a layer of chicken on the tortillas along with the corn salsa, cheese and lettuce. Slow cooker cooking has always been a boon especially after a hard day at work. You would want to come home and just relax. It is more interesting when you know the food is ready in the slow cooker by the aroma it generates. 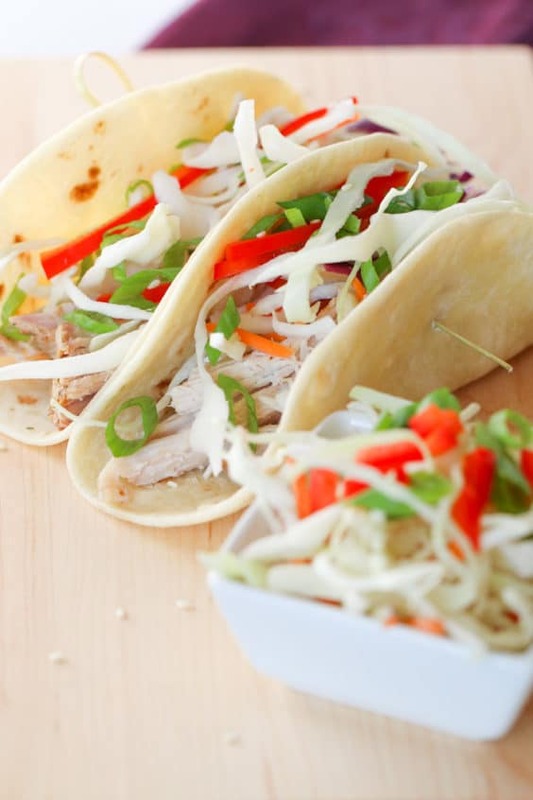 The recipe here is a slow cooker sesame ginger pork taco that is mouth-watering and delicious. Steaks and tacos go very well. Mexican foods are quite a craze around the world and tacos in particular are popular like noodles, you can find them in most restaurants around the world. 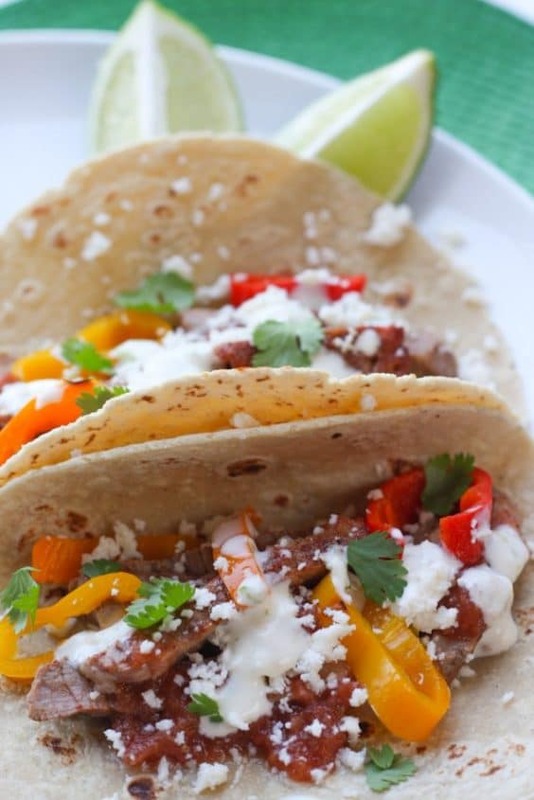 The steak taco recipe here is low fat and healthy as they are grilled. • Take one tortilla and place them on a burner and flip side by side until they are slightly toasted. Taco Tuesdays are not complete without the different variety of tacos on table for everyone to eat. The shrimp taco recipe is flavorful and has a good mix of spices. The avocados used to make this recipe nicely balance all the extra spices in the dish. This is a light dish without many calories. 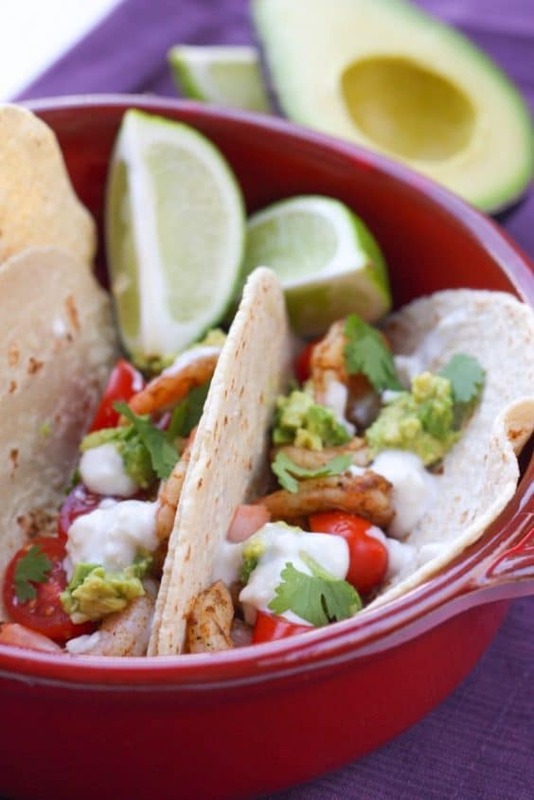 • Place the tortillas on a plate and divide the shrimp equally among these tortillas. This taco tuesdays recipe will be slightly spicy since the chipotle chilies are hot. They add a good flavor and texture to the tacos. To bring down the spice a bit you can remove the seeds from the chilies before you add them to the blender. A scoop of guacamole will ease the spice a bit. Hopefully the above list of recipes will help you make some very delicious and yummy tacos at home. The Taco Tuesdays are never going to be the same with these wonderful recipes. Try each of them on every Tuesdays and enjoy them with your family and friends on a warm summer evening.